Sales and service are two of our many specialties! 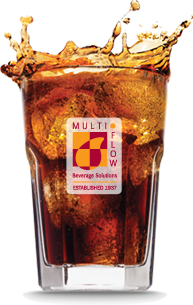 Multi-Flow was founded in 1937 by United States Navy Veteran, Sam Gottlieb, in Philadelphia, Pennsylvania to provide fountain beverages directly to restaurants, bars and institutional care facilities. Since 1937, Multi-Flow has expanded its geographic footprint to provide direct account delivery along the east coast through 14 warehouses. The remainder of the U.S. is serviced through 90 independent distributors. Although Sam has passed on, his passion for providing quality beverages continues to guide the company in growth and innovation. CMS Private Equity purchased a majority share of the company in 2008 and continues to infuse growth capital. Multi-Flow employs nearly 200 employees in 7 states, all from unique backgrounds, working daily towards a single goal - to provide the best quality beverages at the best possible price. Our expertise is Fountain-Dispensed Beverages. That single-minded focus allows us to be one of the most prominent providers of concentrates, whether they are poured from a dispensing valve, a bar gun, a juice chiller, a tea tower, a coffee dispenser, or a granita machine. Fountain-dispensed beverages represent high margin for operators. Every pour equals more profit. Our mixing teams produce over 3 Million gallons of beverage concentrate a year, equating to over 240 Million servings of liquid refreshment. 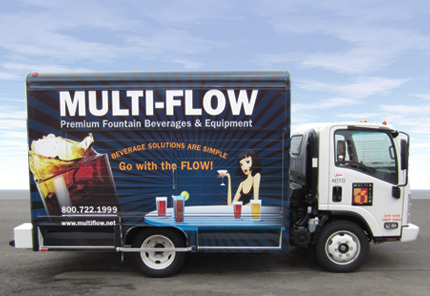 During any given week, over 4.5 Million servings of beverages produced by Multi-Flow are poured throughout the United States - in bars and restaurants, convenience stores, stadiums, hotels, institutional facilities and any other venue that serves, juice, lemonade, tea, nutrient water, energy drinks, coffee and more. We produce the widest variety of beverages in the industry. Our mixing teams produce real fruit juices, full-flavored soft drinks, colorful frozen beverages, a wide variety of iced teas, Colombian liquid-roast coffee, high-impact energy drinks, and nearly every other beverage. It's the reason for the “Multi” in Multi-Flow! In sourcing our raw materials, we select the finest producers and flavor houses who have a proven track record of quality and most importantly – consistency. Once selected, each inbound lot of raw materials is evaluated by our Quality Assurance team to ensure that the ingredients fall within our stringent guidelines and specifications before being received into our inventory. Once mixed, each batch is analyzed for compliance to lab and organoleptic standards. Following certification within set parameters, your product is released to our production team. Samples are sent to our in-house Micro-Biological stations and plated for testing of microbial activity including indicators for yeast, mold, and anaerobic activity. Our Huntingdon Valley Corporate Manufacturing Facility allows Multi-Flow to provide distinct points-of-difference in the industry including the installation of our Triple Tube High-Temperature/Short Time Pasteurizer. Triple Tube construction ensures that the original flavors are retained during the pasteurization process. The result is a great-tasting, sterile product with an extended shelf life. Multi-Flow also installed Airflow Controls throughout the production facility. This is a complete lab remodel that allows our Product Development Team to remain in the forefront of new beverage development for on-premise beverages and enhanced processing software for quality assurance. Multi-Flow ensures that our coding system, which allows for drill up and drill down traceability of all raw materials and packaging, is correct and in place. Our ingredient declarations are routinely scrutinized for compliance to current FDA standards. Our products are created, packaged, and labeled with the greatest integrity. Multi-Flow consistently receives excellent scores in our 3rd Party GMP Food Safety Audits which are conducted twice a year by separate firms. Multi-Flow also enjoys the status of being an OSHA VPP Star site since 2005, distinguishing Multi-Flow as the only Fountain Juice manufacturer in the U.S. to hold this distinction. Multi-Flow's dedication to its employees ensures a safe, energized workforce that takes pride in every ounce that's poured.